In honor of Labor Day, marking the end of summer and a rest from your labors, here is some quilt-inspiration from an annual local garden/quilt show. Sadly I did a poor job of documenting the names or makers of the quilts we saw (due in part to dodging scattered raindrops, and in part to keeping track of the 3 hoodlums I’d brought with me), but I’ll mention the ones I do know. Top right is called Crossroads made by Ann Lewis. 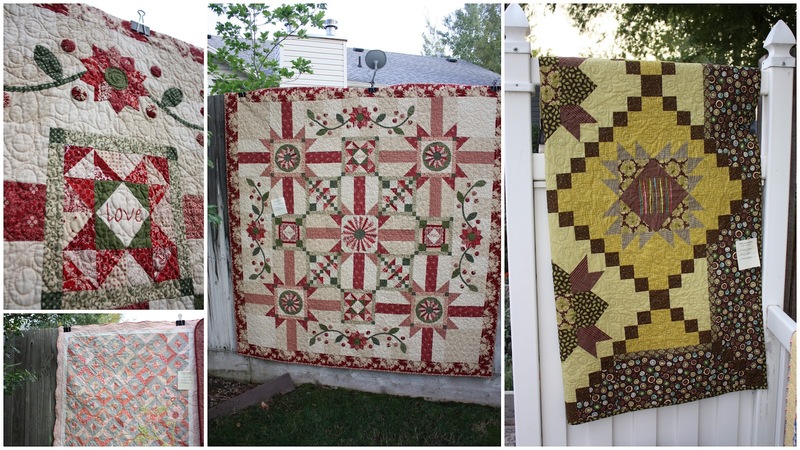 The middle and top left quilt is called Vintage Rouge and made by Meridy Palmer. Gerbera Daisy by Sharon Budge. Love it! Another great use for a Dresden/wedge ruler. Left is Wash Day by Ann Lewis, center amazing applique and quilting by a talented quilter whose name I did not record, and bottom right is Higdon Camp by Ann Lewis as well. And you’re probably familiar with that Union Jack quilt. And my hooligans, who cheerfully came with me since their dad and older sister were at a football game. It helped that I could bribe them, knowing there would be ice cream available. The quilts are beautiful and I love how they&#39;re displayed in conjunction with the gardens. Thanks for sharing with us! The best way to keep hooligans happy! we called it I-C-E-C. It didn&#39;t take long for our kids to learn what that spelled. Love seeing the Quilts outdoors. I&#39;d choose to go to a quilt show anyday over a football game! We say the same thing for ice cream. My kids are not old enough to spell, but just old enough to know we are talking about something they want to know about! There isn&#39;t one I wouldn&#39;t take home if I could. Loved seeing these! OH MY!!! What a wonderful way to spend a day, thanks for sharing!! I really enjoyed your share, thank you so much! I always enjoy seeing your pictures from the Garden Show each year. Thanks for sharing as much as you could with us. I need to talk to you about going to said Garden Show next year. For reals. I&#39;ve loved your pics for three years now! Time to go myself 🙂 Also, lets do lunch. What a great show! Thank you for sharing the photos. 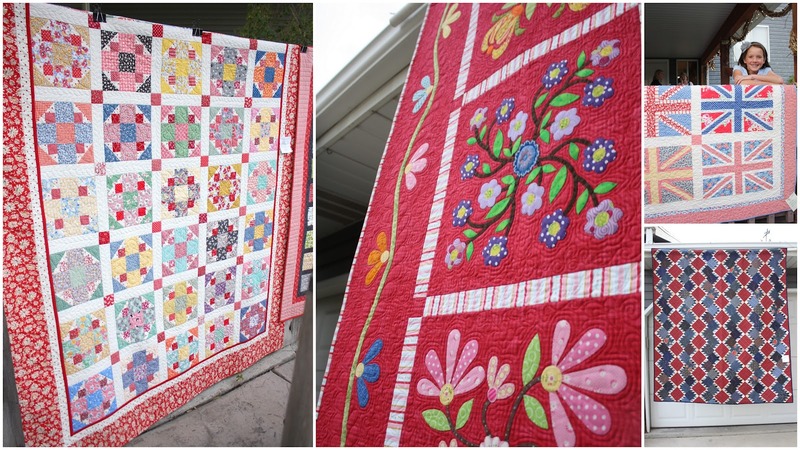 The Gerbera Daisy quilt is my favorite. Love this post! So many beautiful quilts! What gorgeous quilts! Thanks so much for sharing the photos. Each quilt is amazing! Love quilt shows! Thanks so much for sharing! 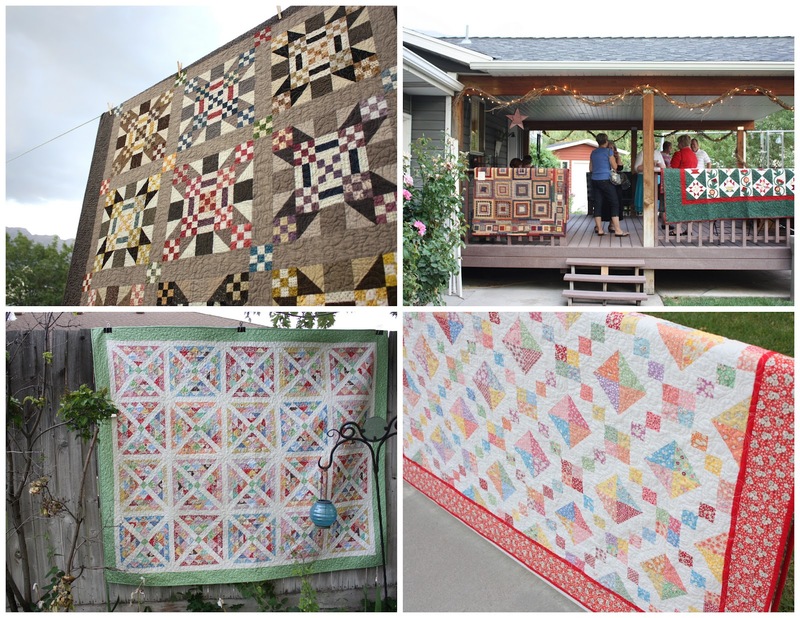 It must be so much fun to walk around outdoors and admire all of these amazing quilts! Nice, nice. And I&#39;m not above bribery either if I get to indulge in my favorite things. These quilts are beautiful! 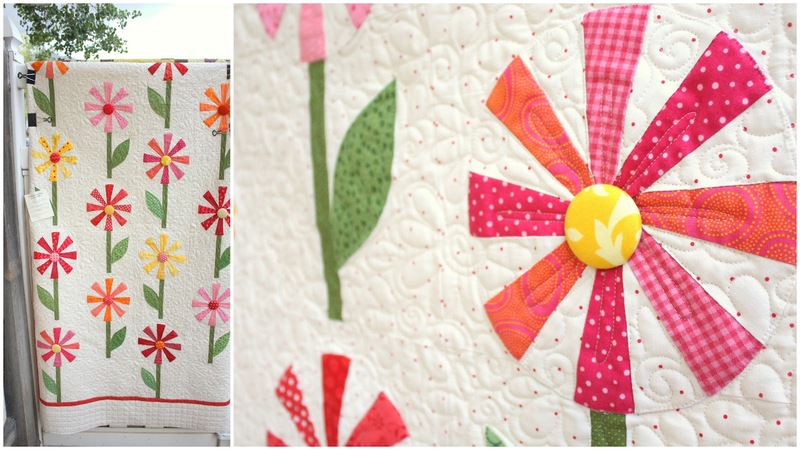 Is there a pattern for the gerbera daisy quilt by Sharon budge? Or does she have a website? I&#39;m with Michelle! I&#39;d love to know if there is a pattern for that quilt. Thanks for sharing all of those lovely quilts. I know Sharon – I will see if I can find out if there&#39;s a pattern.